We're in the period of the year whereby students are either going back to school or starting at their new school. CTH being an awarding body, means that we're part of the process of getting students ready for their new school year with their CTH Approved Centres. 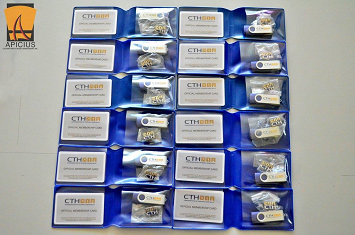 A part of this process is supplying centres and students with our CTH essentials, which include a membership card and wallet, a free CTH computer memory stick and a prestigious CTH pin badge.